Article in today's Shreveport Times about the GOOD and BAD of Bossier City's continued growth. In my opinion, the GOOD would be that almost everything that we once had to drive to south Shreveport for, now exists in Bossier. The BAD... well, taking 30 minutes to go between I-20 and I-220 during rush hour traffic down Airline Drive or Benton Road. Bossier City's population is now around 70,000 and Bossier Parish has surpassed the 125,000 mark. This is not the sleepy, seedy little town next to Shreveport that I grew up in back in the 80s and 90s. If Shreveport continues losing population to Bossier and Desoto Parishes, among other places in the country, Bossier City WILL one day surpass Shreveport in population. With the continued growth of the tech sector, with the National Cyber Research Park now being home to 3 large buildings, with more potentially in the future, and other visible economic growth in the city and parish, I don't see it slowing down anytime soon. Before I moved back to Bossier City from Haughton, a large wooded area along Highway 157 was stripped of all trees, roots, etc to make room for a new development right next to the Waffle House and the Pilot truck stop. This development, which is called Legacy Pointe, was to eventually include a Holiday Inn hotel, a Cracker Barrel, a bank, and other restaurants and stores. Not much detail was given at the time of the announcement, but they did mention a residential portion of the development to include an additional 300-350 homes. This is big for Haughton, which is a very small town that has literally doubled in population over the past decade. This development is also to re-align the existing highway from the corner by Waffle House and Pilot, and also include a center main street called Dak Prescott Drive, named for the town's most recent hometown football hero, Dak Prescott. 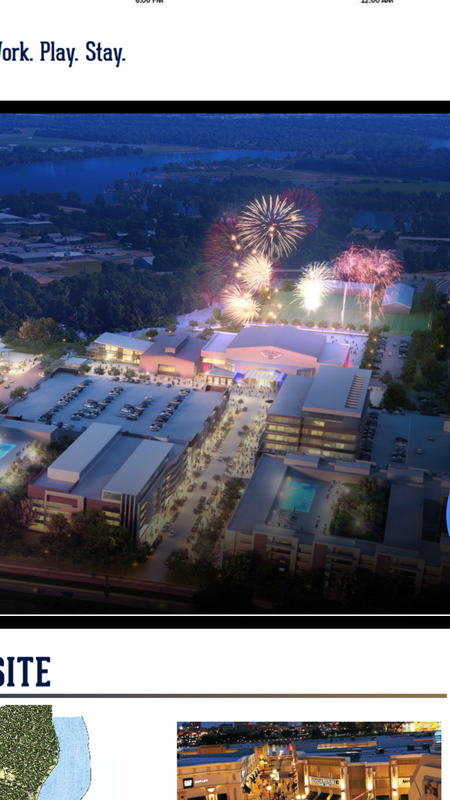 So yesterday, Shreveport Mayor Ollie Tyler announced a plan, which will be fully unveiled at today’s city council meeting, for a $100 million mixed-use project to be built in the Cross Bayou area on the north side of downtown near the Hilton and convention center. Now, I know most people are opposed to this plan because (1) she’s a democrat and will be hated for that no matter what, and (2) all the typical yokels will spout off about how we need to fix crime, roads, education, etc etc etc. The same stuff they always scream about, even when the aquarium was announced and it was made clear that it was being funded privately. That said, I don’t care, I’m very much for the development, because I’m pro-development in my hometown area - especially downtown. I want it to be a success. The project’s main feature would be a “mid-sized” sports arena for the New Orleans Pelicans G-League team. Apparently the pool has been narrowed to just two cities now, Shreveport and Pensacola, FL. I hope to see some renderings for this project soon, and I hope the project is approved and that we get the G-League basketball team. I’m not at all a basketball fan, but I WILL support a local team. Yes indeed Brian! Hoping Shreveport can get the Pelicans G-League team! 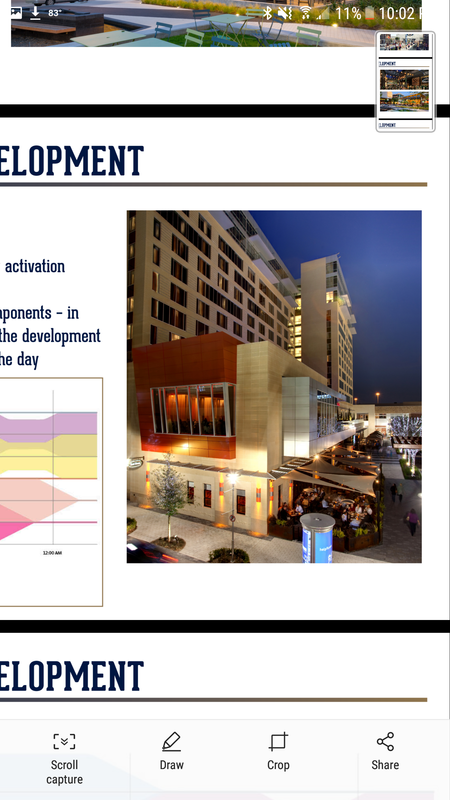 Wish i could zoom up some more on the Site-plans....Seems cool Live/Work/Play/Stay near Cross Bayou...& compliment the Convention Center area nearby! Even a Saints practice facility?? It would be a very nice development. As you and I discussed, I'm sad to see a lot of New Orleans residents opposed to Shreveport over Pensacola, but as a "homer", why not Shreveport? Even lots of comments on these stories have Shreveport-Bossier residents saying we don't want/need this. Sad to see all the negativity, but in all honesty, I expected it from that same group of Shreveport-Bossier residents, they're always the first ones to condemn anything other than "fixing the streets and crime". No crap we have streets needing to be fixed, and crime has spiraled out of control, but that stuff aside, this COULD be a great thing for Shreveport if done right. These same people complained about the aquarium, which wasn't even being built with public funds. These same people would complain about anything, so I suppose I'm not surprised. People always say "Shreveport needs more stuff to do as a family!" THEN TAKE YOUR FAMILY TO SEE THE BASKETBALL GAMES AND TO THE AQUARIUM. Finally, good things are happening and people STILL complain. As I said before, I don't even really like basketball, but I'll go support them. Here are some screenshots I took on my cell phone yesterday. Not sure if you can zoom in more to the site plan, but this offers more views. Shreveport Police Association and Shreveport Police Union came out today in opposition to this project because they think they would be better suited for the money. Let me just tell you, $1 million, $30 million, $1 billion is not going to fix the crime problem. Like it or not, it's cultural. The people committing these crimes, unfortunately, have grown up in these neighborhoods in a culture of violence. That's a hard chain to break. You can throw all the money in the world at the problem, but you will not fix it. FIRE the current Police Chief, because he's a joke. Promote someone who actually has a proven track record and who scored highly on the chief's exam, and you've got a good start. Surprisingly, the Downtown Development Authority has also come out as not quite on board with the project either. Their complaint is that it was never fully revealed to them. Hopefully they'll get on board; if not, it makes one wonder WHY NOT. Any DDA who would oppose a $150+ million development in their downtown would be foolish, and would warrant a change in leadership (not that their "leader" is a leader to begin with. She was a former mayor' lackie, and we never saw eye to eye. Ever since I came back, I've been trying to keep it active. Glad to see you back around! 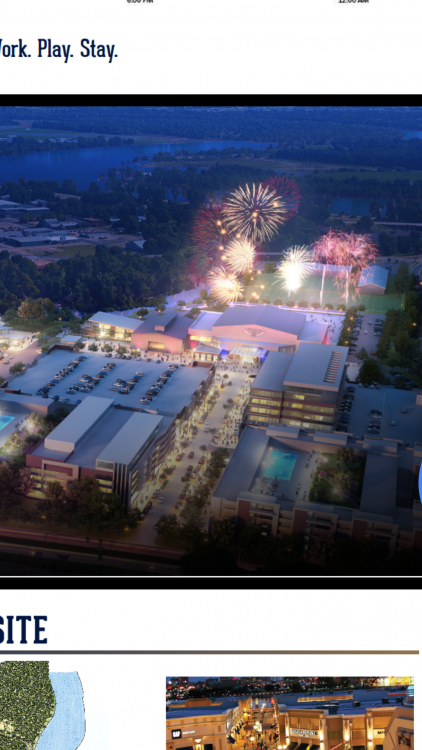 Well, it looks like Shreveport screwed up another potentially positive thing for the city in the $150+ million sports and mixed-use project. I know a lot of people were against it, citing bad roads and crime as their reason for being opposed, knowing full well that $30 million is not going to fix the crime rate. Anyone who thinks otherwise is extremely naïve. This was to come from bond money, which the city would pay back over a number of years. This wasn’t $30 million out of the city’s budget, this was money the city didn’t even have yet. But people in Shreveport can be very, very ignorant. The other thing I noted from the article in The Times is that 25 people spoke IN FAVOR of the project and only 14 spoke AGAINST it. Now, that doesn’t sound to me like the city was listening to the people, if the people who were against it were that much in the minority at the meeting. It sounds like they listened to the minority of the people at the meeting rather than the majority. It was nice knowing you, Shreveport, but you’re letting the small town mentality take you down. As if you couldn’t tell, I was in favor of this project; and as a person who hates basketball, I still would have attended games just to help it succeed. Hopefully Mayor Tyler can come up with another way to make this happen. If not, the team will have to go to Pensacola, I suppose. 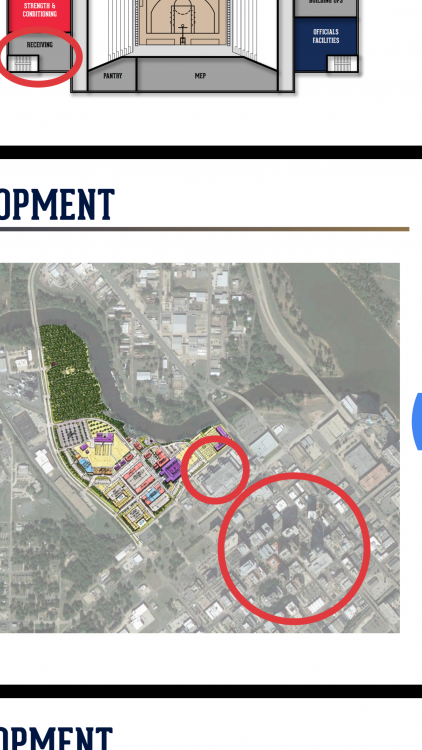 And Shreveport misses out on an opportunity to develop the Cross Bayou area of downtown with a partner willing to put up over $100 million of their own money. I know, man. Very disappointing. People have to realize that if you want to take the next step, you have to be willing to be bold and take some risks. You can't sit on your hands for the next 25-30 years and fix the roads, sewer issues, and do nothing else. I realize that we have challenges ahead, but I believe we can do both. I know, man. Very disappointing. People have to realize that if you want to take the next step, you have to be willing to be bold and take some risks. You can't sit on your hands for the next 25-30 years and fix the roads and sewer issues, and do nothing else. I realize that we have challenges ahead, but I believe we can do both. People in Shreveport just don't get it. This was literally our chance to change some things. First, it would change the face of a really blighted, unused portion of our downtown, adding to the convention center area, and creating a village. The renderings, albeit very early renderings, were extremely impressive. I know most of those were taken off similar projects around the country, but they did create some renderings specifically for that project and they blew my mind. I wish we could salvage this project. Maybe Corporate Realty out of Birmingham could pony up an additional $30 million for the arena. I mean, it would help them and then they would own it and could market it how they see fit. But I suppose only time will tell, however I'm very afraid that this might be the end of the road. And you're right about something else... you can NOT sit around and fight crime and fix streets all the while not TRYING to lure business to your city. Are they kidding? New Orleans is a PRIME example in this state. Crappy roads and FAR, FAR higher crime than Shreveport that even spills over into their biggest tourist attractions from time to time. But people still like what they have to offer and they still go there! What is so different about Shreveport? Absolutely nothing with the exception that we still need to build things for people to come see. And yes, people will travel from Lafayette and even some will travel from New Orleans, to see the minor league Pel's games. I promise you that. But they may not get the chance now... Pensacola is closer to New Orleans than we are (which I only recently learned) and if something doesn't get changed really fast, they will be home to the Pelicans G-league team. The aquarium is a great start. 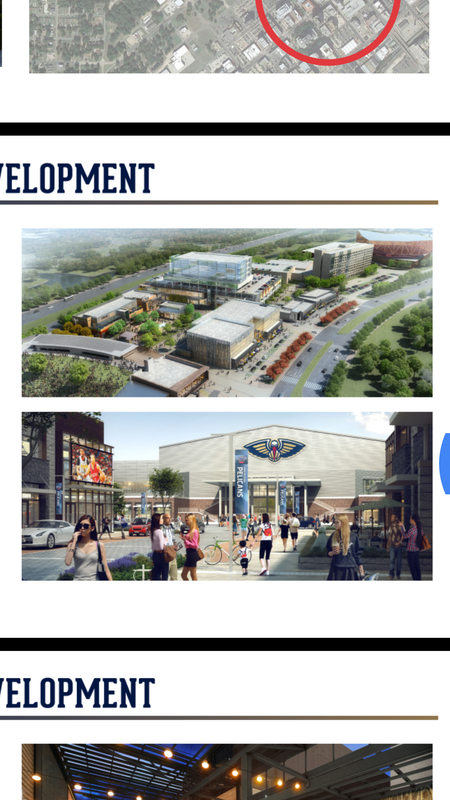 To have a re-done Sci-Port and an aquarium right across from one another, and two casinos within very easy walking distance, and (potentially) a mixed-use development with an arena to watch some NBA minor league basketball within a very short drive. That would be an excellent opportunity for the trolley service that runs during special occasions. I could see them making that drive, between the riverfront and the Cross Bayou area, a regular run for a trolley service, if everything worked out that way. And apparently people in Shreveport don't understand brownfields and such, where you can get grants to clean up contaminated sites. This being because everyone is now saying (their new argument) that the site is contaminated due to General Scrap being located there currently. Here's a definition for ya, Shreveporters, if any of you happen to find your way over here to UP (below). Brownfields are cleaned up all the time to make way for new developments. Some don't realize that where Margaritaville's impressive hotel sits, used to be a landfill. Now look at it. That's just one good, local example of what CAN be done. Sorry for this long post. lol I get carried away at times, especially when I'm passionate about what it is I'm talking about. Listen, we don't have all the answers, but those opposed to the project believe they do. I'm just a guy who is passionate about my hometown (even though I'm from Bossier, it's all one city to me most of the time anyway) and want to see it succeed! Who wants to be further embarrassed by watching their hometown fail again and again and again!? Not this guy. (of an urban site for potential building development) having had previous development on it. I hope you are personally able to read this. I come with positive thinking, and not the negativity that you’ve been seeing lately in your fair city. I think you need to hear a positive point of view for a change, because lately you’re being kicked around by negativity and you need to be lifted up, not knocked down and kicked, so to speak. First, let me say I am a Bossier City citizen, born and raised, but I lived in Shreveport for a while as an adult and I have always considered Shreveport to be an extension of my home. That said, clearly my vote on the arena issue wouldn’t have counted and I understand that; however I’m tired of all the negative thinking in Shreveport and it’s got to change. I realize I’m just reiterating what you already know – Shreveport has an image problem, and it has some really small town-minded people making up the population of the city. I realize that doesn’t include everyone, but apparently it’s become a widespread issue, worse than I ever would have thought. I was on board with you when you announced your project. I was impressed with the vision, and what the city’s future could be. And to think that a private party thought so much about the project to add their own money to make it a much bigger venture – a village, if you will – was impressive. Other than casinos spending hundreds of millions of dollars when they build their big towers along the riverfront, that just doesn’t happen here. 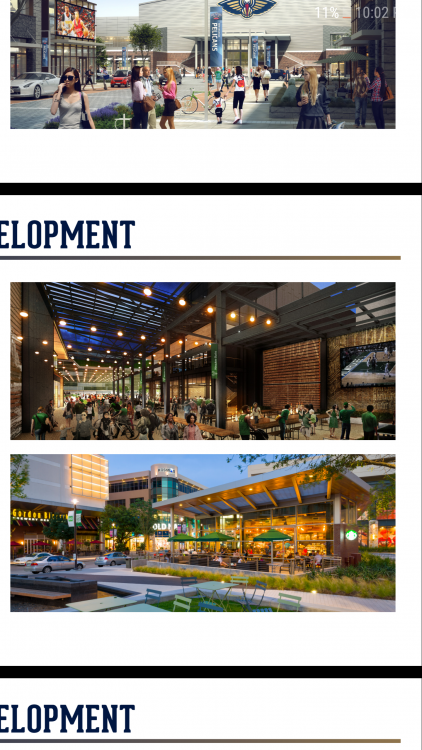 It’s absolutely nothing to Dallas or Houston to have a development like that in their cities, but Shreveport is much smaller and, in my opinion, more deserving. We need that spark, - that energy – the likes of which only a large project like that would bring. I was impressed by the renderings, especially the one looking from the north over the bayou area. They did an amazing job planning a village around your proposed arena project. I will tell you, I have always hated basketball. Many of my friends loved it, but I hated it. I wouldn’t play it with my buddies, and I refused to play it in gym at school. I took a lot of punishment from my P.E. teachers in school over not playing basketball. That said, however, there is a different feeling when you’re watching collegiate or professional basketball live. My wife and I used to visit her father when he lived in Champaign, Illinois, and we always tried to go to a University of Illinois basketball game when we went. It was electric; it was awesome; it was something special that I wish we had here. I have told people this, and I will share it with you: as much as I have always hated basketball, I committed myself to going to some of the G-League games just to support it and my other hometown there on the other side of the river. What people aren’t realizing is that we have a metropolitan area population of over 400,000 people, and your proposed arena would seat less than 4,000 people. I’m not good at math – never was, probably never will be – but even I realize that if only people from our metro area attended the G-League games in Shreveport, it would take – literally – only less than 1% of the population of this area to attend games and support the team. But that’s not it, I’ve read on different websites where some people from Lafayette would be happy to have the team here, because it’s not that far. I don’t have any research to back this up, but aside from just Lafayette, I would be willing to be that there are Pelicans fans in Monroe-West Monroe, Alexandria, Lake Charles, Baton Rouge and even New Orleans who would occasionally make the drive to Shreveport to watch games. But even if that weren’t the case – even if it were left to just be supported by Shreveport-Bossier metro citizens, again, it would take less than 1% of the population to support it. And I could almost guarantee you that it would be done. It’s not like you’re trying to fill an arena with 10,000+ seats, you’re only trying to fill it with 3,000-4,000 people! Sometimes the nonsense people in Shreveport can come up with to oppose a mayor they do not like or agree with, astounds me. That is what this comes down to, Madam Mayor. There are a lot of people not willing to give you a chance, and they will stop at nothing to see you fail. That’s what they want, and I don’t understand that mentality. Just being honest here, I don’t know you, and I don’t have an opinion of you either way. I know very little about you, but I know this: I am a very conservative person, and you’re a Democrat; however that means nothing to me, and it certainly doesn’t make me want to see Shreveport fail just so you will fail. Some of the comments I have seen about you in replies to articles on Facebook would be enough to discourage anyone. But I know you’re a strong leader, and even though you’re clearly discouraged, I don’t feel that you’re going to let this roadblock stop you. You can’t give in, and that’s exactly what these negative people want. They want you to give in, and they want you to fail. I realize I already said this, but I just simply can’t understand why anyone would be willing to watch their city fail just to push an agenda against a person in your position. That is sad, and extremely disappointing. I know that, as a former educator, you’re likely a creative person. You came up with a creative way to fund the project that everyone should have been happy with, but some people will never be happy. I believe you will come up with another way to try to make this project happen. Do not give up! I honestly believe I want this project more than you, or just as much. I’ve been following it since day one, just as I’ve been following the aquarium. I realize crime has gotten out of hand in Shreveport lately, and I don’t believe for a minute that putting $30 million into the Police Department will change things even the slightest bit. Perhaps a change in command at the Police Department would help, but I’m not here to discuss the inner workings of the SPD, and I don’t claim to have all the answers, unlike just about everyone who comments on articles on Facebook. But I realize crime is mostly – though not entirely - a cultural issue. You can take a set of twin boys and separate them. You can raise one in the ghetto, where all he sees is violence on a daily basis, and the chances are extremely high that he will fall into that same trap. You can raise the other twin boy in a nice, gated community with million dollar homes, and the chances are extremely high that he will go the opposite direction. He would not grow up around constant crime and violence, but rather doctors and lawyers. He has a much greater chance at making it into college and making a great life for himself. So, again, it’s a cultural issue and more drastic measures are needed to fix cultural issues. These same people who complain about crime don’t even know the half of it. New Orleans is a very successful tourism market, and their crime rate is much higher than that of Shreveport. Their crime often even spills over into their major tourist areas such as the French Quarter, but still people continue to go there because there are things to do and, as would be expected of a tourist destination, it’s a fun place to visit. Streets are another common complaint here. If you spend all your money constantly on streets, like crime, you will never have anything nice. Who else has bad streets? Almost every city and town in Louisiana, including our largest tourism center, New Orleans! It’s not a Shreveport problem, it’s a statewide problem, and it doesn’t stop millions of people from spending their time and money in New Orleans, and neither does their high crime rate. Sometimes you just have to take chances and do things that are perhaps unpopular, in order to grow your city and your downtown. I’m with you, Madam Mayor; and even though I live in Bossier and have no vote on Shreveport’s issues, I support whatever you can do to make your city better, especially in the downtown area that our casino tourists see. If you took the time to read my rambling thoughts, I thank you for your time, Madam Mayor. I support your efforts and I thank you for your service to your city. I support you in this project, and I wish my opinion carried more weight than it does as a Bossier City resident. Bravo, Catfish. I'm going to email my city councilman and encourage him (them) to reboot this thing, & not be so short-sighted. Hey, it can't hurt for them to hear from the pro-arena/development crowd! That's what made me write to Mayor Tyler. FYI the mayor did respond to my email yesterday morning and seemed very happy and thankful for my email to her. She is facing some major challenges in her term as mayor, and she knows it. She spoke to me candidly, off the record, and shared some information that I won't repeat but tells me of greater challenges that she faces on a daily basis involving Shreveport politics. I believe what she says to be true, and I know politics in Shreveport are backward. She just confirmed that for me in her email, and I would not want to be in her position. Years ago, after I first got married, I lived in Shreveport and I wanted to be the youngest mayor of Shreveport ever. I wanted to run for, and win, that position and run that city how I believed at the time it should be run. But I was a kid in my early-mid 20s and I was clearly very naive. I didn't realize that the career politicians, and people (men AND women) who have money and too much power, are actually the ones who run things in that city, just like in our national government. I do hope Shreveport gets its act together before it kills another positive project of this magnitude, IF another ever comes our way. If the city is seen as anti-outsider, it will never happen again. A large firm from Birmingham, unfortunately, just got a taste of what Shreveport politics are like, and so did Tom Benson. That's not a good image to portray to people who could help the city grow.